We all have our little collection, hobby items, kitschy decors, and souvenir items that took years to amass! 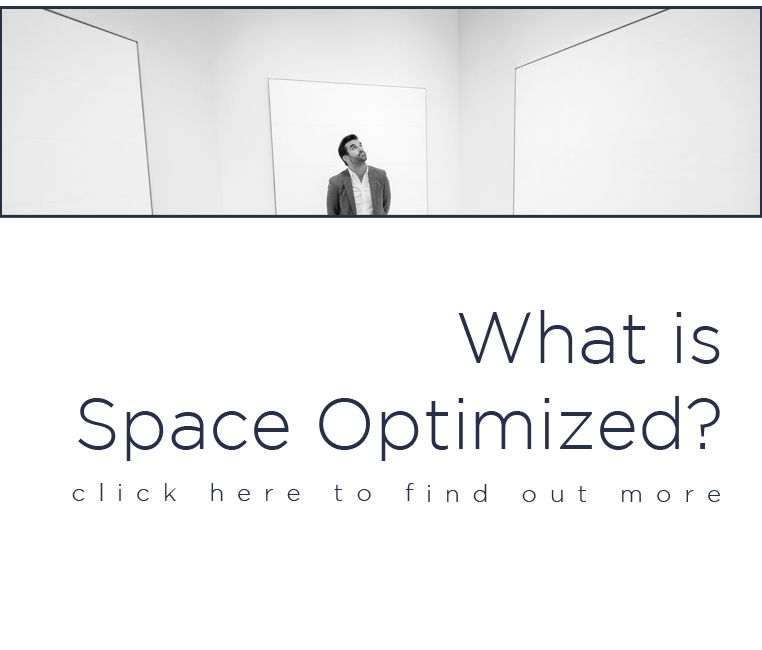 But it’s hard to put collectibles on display while maintaining the clean, sleek look of your minimalist apartment. If you are holding back on displaying your precious collection because it might clash with the rest of your decors, don’t fret! It’s possible to showcase some of the things that you have collected over the years without worrying about the clutter. Do you love collecting comic books, vintage maps, fine dinnerware or record albums? 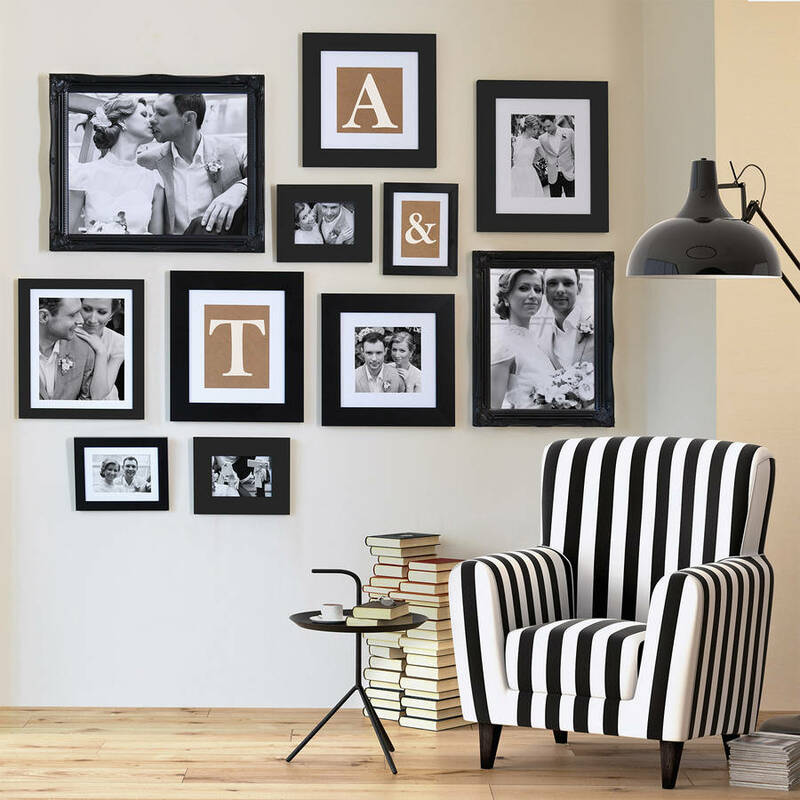 Why not turn your collection into an artwork and hang your favorites on a blank wall? 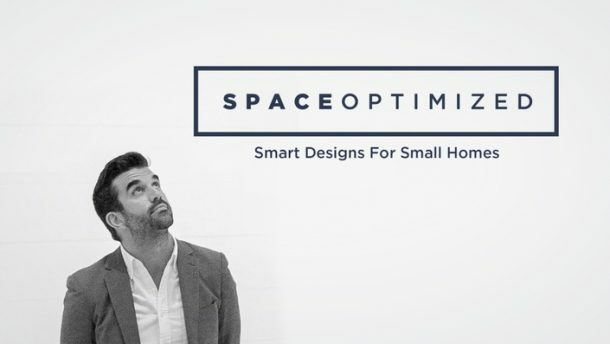 This is a great trick to try if you want to inject your own personality into the space. Don’t put all your collection on display though, you want to curate your collection so it doesn’t take over the whole room. Just choose a handful of your favorites and go from there. Got lots of collections? You can switch things up every now and then to change the vibe of the room. Small collectibles like seashells, vintage marbles, antique buttons, and matchbooks are best displayed in a decorative dish instead of arranged on a shelf. Choose a decorative dish that matches the overall feel of your collection, small baskets, brandy snifters, canning jars, ashtrays are perfect containers for small objects. You can also use serving trays or a wooden shallow-sided box to showcase your collection as a centerpiece. If you’re a bookworm then you probably have an impressive book collection stored in your bookcase while the rest are gathering dust in storage. 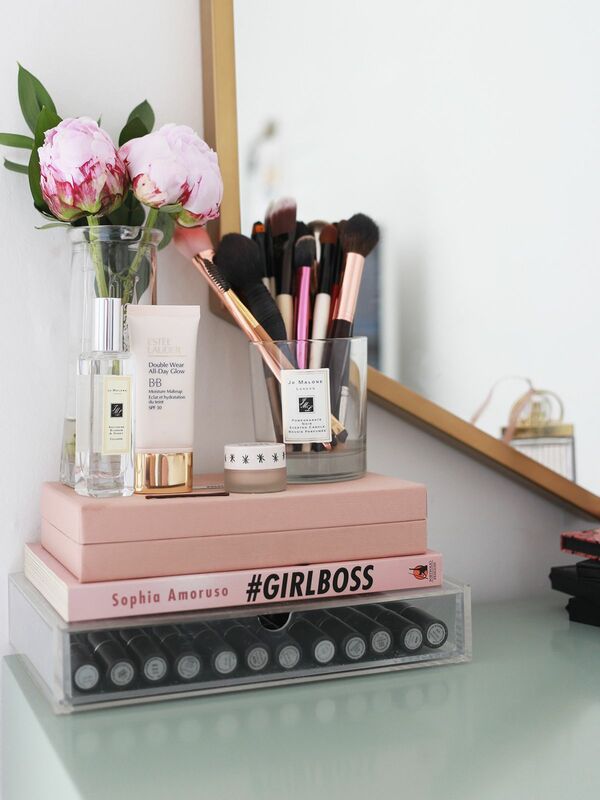 Instead of keeping the rest of your collection hidden away, why not put them on display on your vanity? Books make a fabulous accent décor because they add an interesting detail to a space. To keep the look from looking cluttered, start your display with your favorite books. Stack several books up, pop a kitschy décor on top and you are done! 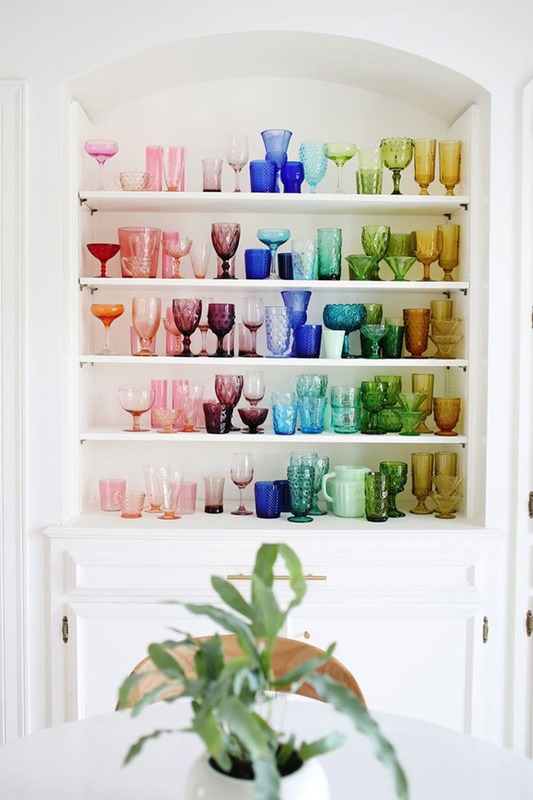 If you love collecting glassware like decanters, vintage wine glasses or any translucent collectibles, you can take advantage of any sunny spot in your apartment for a display. Use a console table or even floating shelves to showcase your glassware collection. As the sun hits, the whole room will light up with an ethereal glow! Keep the arrangement clean by limiting the groupings of two to three items. Add drama to an otherwise plain living room by arranging like objects in one space. 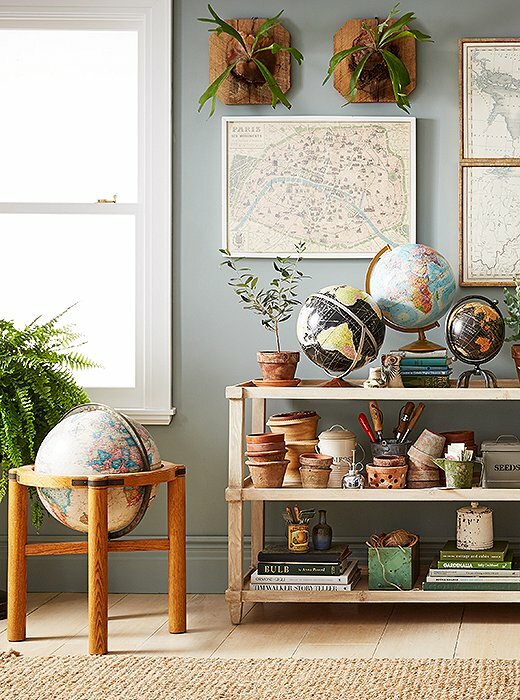 If you love collecting globes, decorative plates, and other cool items, you can turn these into the focal point of your minimalist apartment. Just choose a spot in the living room that draws the eyes naturally. Set a console table or a low-lying storage shelf on this spot and artfully arrange your collection. 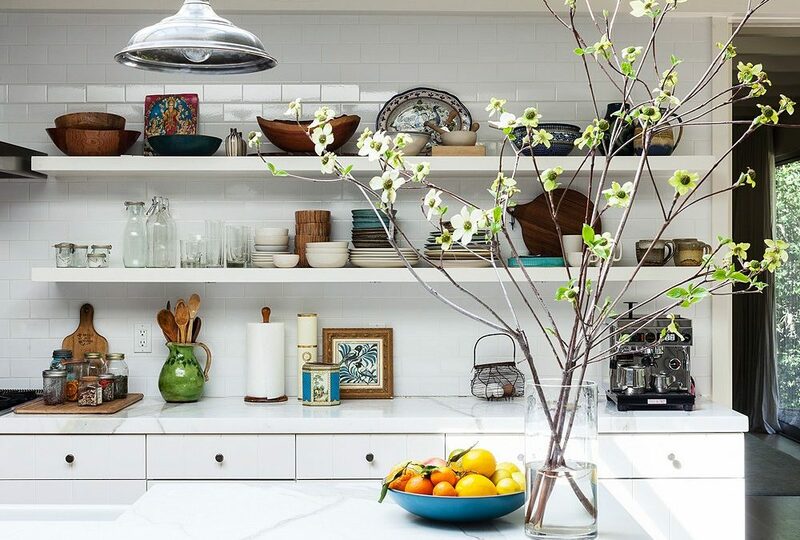 The key here is to focus on one spot instead of setting your collection items all over the room so the display won’t add visual weight to the space. If you love collecting scented candles, lifestyle books, coffee table books, or colorful glass strikers, you can put some of them on your coffee table. 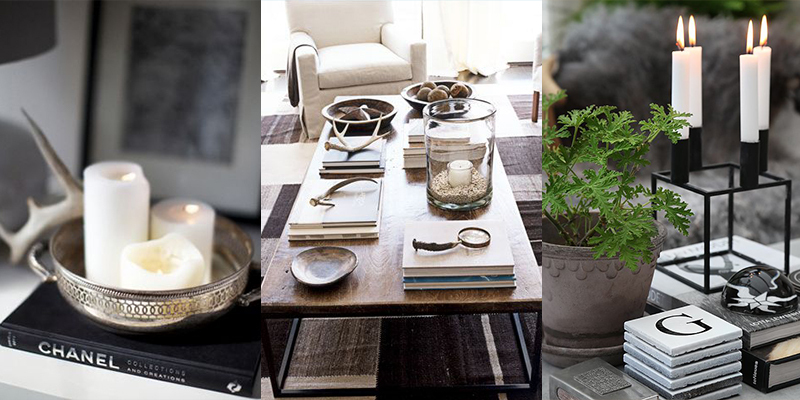 To keep the look interesting – not cluttered – you can mix your collection with other equally interesting decors. For instance, you can pair scented candles with potpourris stored in pretty decanters. You can also combine scented candles with your coffee books and finish up with a vase full of fresh flowers or a houseplant. Be creative, play with different display items to create a fabulous centerpiece that complements your minimalist apartment’s interiors. Bookcases are so versatile; you can use them to store other things besides books! Forget the rules! You can use a bookcase as a special place to display your collection, particularly small and colorful objects. With a bookcase, you can highlight your collection while creating an eye-catching focal point in your minimalist apartment. Got a fabulous collection of fine bone china saucers, vintage glassware, cutlery, dinnerware, etc.? Instead of tucking your collection in a curio cabinet, bust them out of storage and put them on your (open) shelf so people can see admire it. Play with different patterns and heights, it’s all up to you. Come up with a fun look that adds exuberance to bland spaces. The bathroom is a great place to show off your seashell and rock collection! You can install a couple of narrow floating shelves to put your collection on display. The floating shelf will give your collection more breathing room without overwhelming the space. Some collections are best displayed en masse like multicolored glassware. For glassware, jars, and colorful collectibles, you can create a cohesive display by arranging these by color. Set your collection on a low-lying, wide table and then arrange them according to color. You can play with different styles like creating an ombre pattern or pitting contrasting hues together for a showstopping display!